Situated on the both sides of the river Luda Mara, Kavadarci is most famous for its vineyards and production of quality wines. 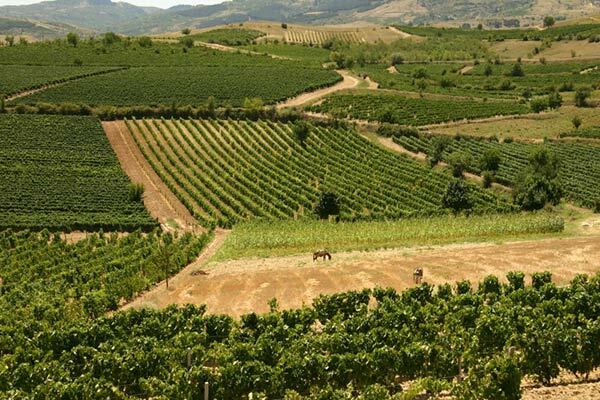 It is Macedonia’s main vine producing center. Tikvesh Kavadarci wines are well known internationally for their unique taste and quality. Kavadarci has 41,852 residents (1991) and covers 1.132 sq. km. The town is situated 280 meters above the sea level. Kavadarci is also known for its timber and tobacco production. Near the town, in the village of Vatasha, there is a monument in honor of the thirteen young Macedonians executed by the Bulgarian occupation forces during World War II.